Configure R3 so that it advertises the default route only to R1. This default route should be advertised only if the interface between R3 and R5 is up. Pic. 2 - R3 Has no Default Route Before Applying Configuration. Pic. 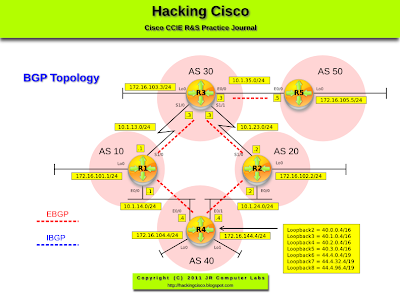 3 - R1's BGP Table. Pic. 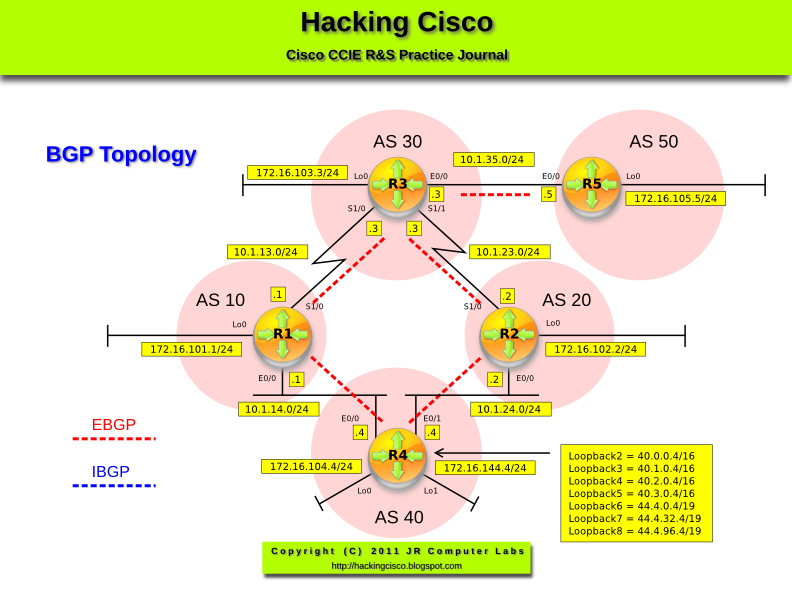 4 - R2's BGP Table. Only R1 receives the default route. Now, shutting down the E0/0 on R3. Pic. 5 - Link between R3 and R5 is Down. Pic. 6 - R1 Loses the Default Route.